Femi Falana, A Nigerian Lawyer and Leader of the National Conscience Party / Ph. DR. In Nigeria, the opposition to Morocco's accession to ECOWAS is not weakening. After the trade unionists, former diplomats and employers, a famous lawyer and political actor in the country of Muhammadu Buhari has just joined this camp. 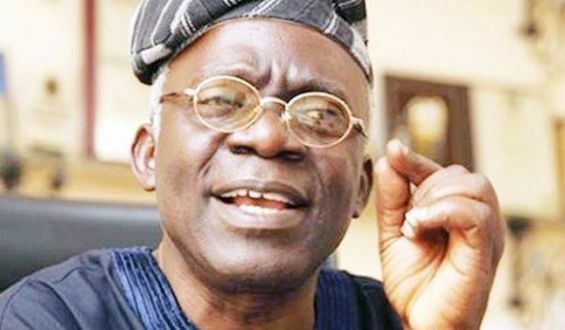 In an indictment, Femi Falana warned the Economic Community of West African States (ECOWAS) against the consequences of admitting the kingdom, stressing that it would be a "counterproductive" decision. The lawyer argues that the kingdom's request would follow an agenda of the European Union, tending to "flood the market of the African sub-region of products, thus destroying the young industries in West Africa". "Morocco and the new European policy in the region"
Femi Falana believes that the Moroccan request is a part of the EU's new policy of "recolonizing the states of the Community", launched after the failure of its previous attempts. At the end of his speech, Falana went so far as to stress that the ECOWAS states have "nothing to gain from Morocco's accession". This thesis has already been developed by the president of the Association of retired diplomats, Oladapo Fafowora, at a conference held last February in Abuja, on the challenges of Nigerian diplomacy. It was marked by the presence of the Vice-President of the Republic, Yemi Osinbajo. This idea also joins the arguments developed in September 2017 by Frank Udemba Jacobs, president of the Manufacturers Association of Nigeria (founded in 1971), at the general assembly of his organization. The latter had indicated that the admission of Morocco to ECOWAS would eventually open the Nigerian market, the largest in the region with more than 186 million consumers to European products. The intervention of Femi Falana in this case is not a surprise. Indeed, this human rights defender is known for his opposition to the Buhari government. Moreover, he feeds presidential ambitions. He also deplored the fact that Nigerians have to choose, during the ballot on 16 February 2019, between the outgoing president and Atiku Aboubaker, former vice-president from 1999 to 2007. In 2007, Femi Falana failed to head the governorate of Ekiti State (western Nigeria), under the banner of the National Conscience Party (NCP).